Ever think to yourself that “there must be a better way to get the information I want out of my application?”. 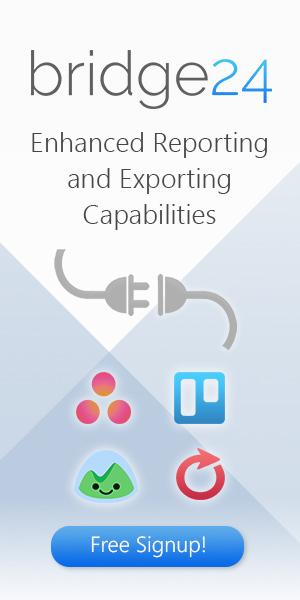 This month in Bridge24 we are releasing the ability to export your information from your connected AceProject, Asana, Basecamp 3, or Trello application to Excel or CSV. Many programs do not allow control of the information exported, such as: not exporting comments, a limited quantity of tasks, not exporting subtasks, or only bulk download of all of the data. 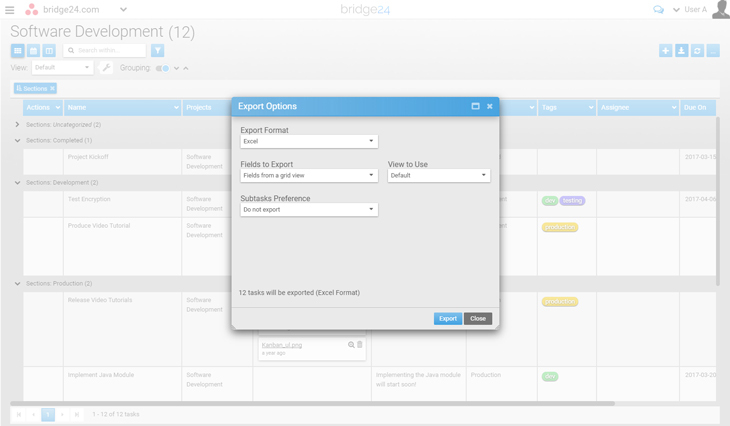 Bridge24 allows you to filter and visually format your information across all your projects and easily export. To use, simply display the information and columns you wish to export in the Power Grid. You can re-order the columns, show/hide columns, turn on grouping, multiple column sorting, and of course set a custom filter. Then click on the Export icon at the top right of the Grid or Calendar View. 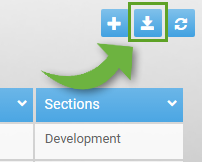 From the Export dialogue choose your settings and click on the Export button. 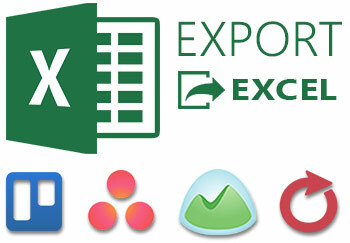 The output for Excel is an .xlsx that can be opened in Excel and ready for further manipulation. The screenshot below shows an Asana export. You can see 4 tabs; one for the main tasks, another for the subtasks, then the comments, and finally the attachments. You are awesome! it worked! Thank you a lot! When is this comming to BaseCamp 3 ? We hear you! We have a few projects to clear out before implementing Basecamp 3 support. It is in the pipeline! (no official release date, but slated for Q1/Q2 2017). Send your contact information to support@bridge24.com and we can place you on our mailing list so you will be informed when released.